We’re going to the fair! ARCHITECT@WORK a fair of the most particular, it is an event organized for architects, designers, manufacturers of the world of construction, presented under a new original concept of fair. It is not a large stand with impressive designs, but a place fitted out with small, uniform modules to optimise contact between exhibitors and visitors. This is one of the most important European fairs in the sector and is characterized by the presence of a large number of exhibitors who expose the new trends of the year, in addition to being able to enjoy conferences, exhibitions and other activities related to architecture. In addition, one of the great peculiarities of this event is that only those who present novelties and have passed a jury of experts, who analyze each product presented at the fair, thus ensuring that the visit to the event is really worthwhile to know the innovations of the market. 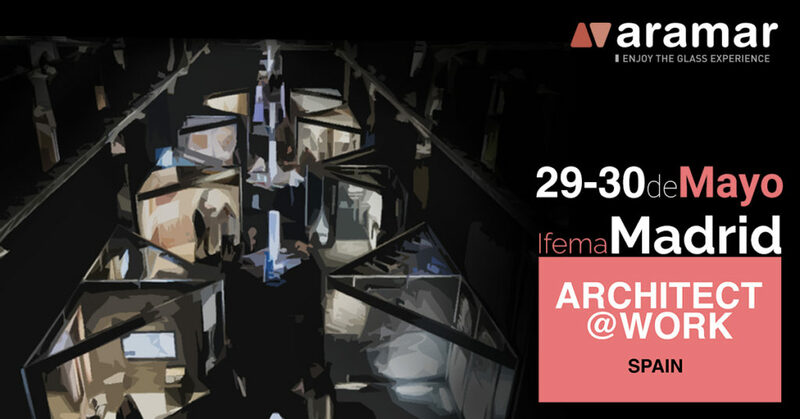 Aramar Suministros para el vidrio will be exhibiting for the first time at this important event for the next 29th and 30th of May in Madrid, at the IFEMA fairgrounds.